At Beamont Collegiate Academy we are committed to providing an education that encourages all learners to fulfil their potential. Those learners with exceptional skills or particular talents are identified as ‘Higher Level Learners’. We aim to provide opportunities for these students in which they are suitably challenged both through the curriculum (‘deepening’ understanding) and extra-curricular enrichment (‘broadening’ understanding). What does being a Higher Level learner mean? To be a Higher Level Learner in a subject means a child has demonstrated excellent attainment in Key Stage 2 and shows an average National Curriculum level of 5 or above in both English and Maths. These students are expected to achieve highly, they are given challenging estimates and targets and full support to work at achieving and exceeding those targets. Across all subjects, the school rigorously monitors these students to ascertain whether they are making expected progress through assessment, tracking, and reporting. Tracking takes place three times a year in Key Stage 3 and five times a year in Key Stage 4 and will indicate your child’s progress in each subject. Work with increasing levels of independence. At BCA we believe strongly that students need the nurture, support and inspiration to achieve and our provision is designed to fulfil that. Equally, we expect our most able students, in particular, to demonstrate the characteristics of more independent learners and take increasing responsibility for their learning and development. Students should be accessing the opportunities in school as well as outside of school, working together with their teachers and like-minded students to learn beyond the classroom in a variety of ways. As for all pupils, teachers will make provision for your child’s abilities within class. Work is differentiated to ensure your child is receiving an appropriate level of stretch and challenge in all their lessons and students have access to a broad curriculum designed to challenge and prepare them for education beyond school. Our staff engage in research based CPD which enables us to implement proven classroom strategies and practice that will stretch and challenge our most able students, helping them to fulfil their potential. Beyond the classroom, we have designed an expansive range of opportunities to further enrich the learning experiences of all our pupils. We offer specific, targeted activities with our Higher Level Learners in mind, to complement, augment and enhance their wider understanding of areas of the curriculum and beyond. By identifying and investing in our Higher Level Learners we are aiming to nurture the academic potential of our gifted students which will accumulate in students achieving the top grades as well as being thoroughly prepared for education pathways beyond school. We aspire that our students will realise ambitious goals and work towards studying challenging and rewarding courses at top universities. Our staff engage in regular training and development to ensure that we meet the demands of our most able students, challenging them to achieve highly across all of their subjects. 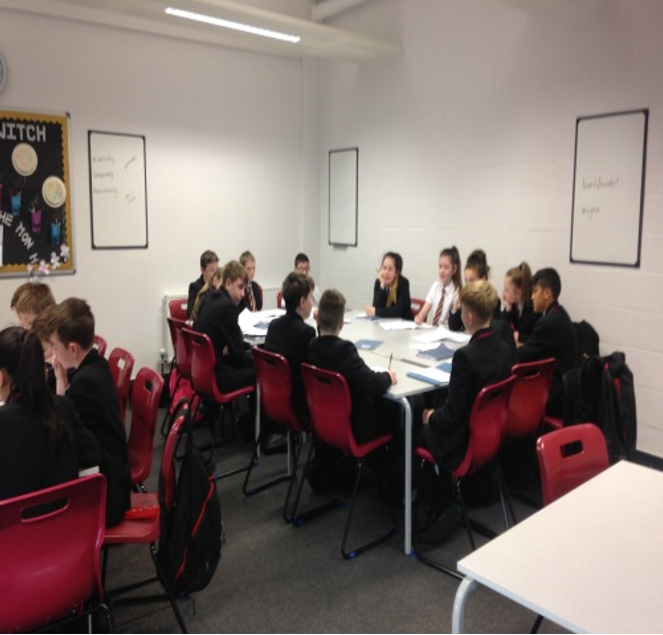 Bespoke enrichment classes in both English and Maths run every week for targeted Year 11 Higher Level Learners. Critical review and evaluation of curriculum content across all departments to ensure Higher Level Learners are challenged throughout their time at BCA with bespoke pathways, activities that are more complex, conceptual questions, problem solving based learning, more advanced reading material etc. Our extra-curricular programme is constantly evolving as we discover new opportunities and forge new working relationships with partners in education, the community and in industry. Notices for students, parents and carers can be found on our website, on our news and notices page. In addition, newsletters, text messages and letters are also sent home. Some of our opportunities are continuous and involve the students participating in a programme of study whilst others appear to be standalone but are designed to inspire and support students in their own continuous learning and development. Below is an idea of some of the opportunities that have been available this year. Transition and partnership work with Primary Schools offering a range of enhanced experiences for KS2 pupils that help to support their academic achievement before they arrive at BCA (e.g. Language days, Young Writer’s Programme etc.). 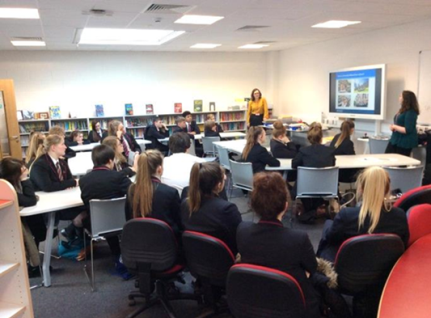 At Beamont Collegiate Academy we encourage independent and creative thinking and learning. We support our learners to embrace challenge and develop questioning minds. Learners should see the curriculum as a series of problems that need to be solved, rather than a body of knowledge to be absorbed. We believe students should never simply accept their ability or talent, but actively encourage it to grow: there is no limit to achievement. Provision for gifted and talented students is constantly changing and being reviewed to ensure we are delivering on our aims. Please refer to our news and notices page for the latest updates.